In a game that certainly entertained the neutrals, Dundalk benefited from some goalkeeping howlers from Kevin Horgan in the Shamrock Rovers goal, as the "Lilywhites" maintained their unbeaten start to the season with a win over Stephen Bradley’s “Hoops”. After seeing his side go close in the first-half, Robbie Benson put Dundalk in front thanks to a goalkeeping howler from “Hoops” shot stopper Kevin Horgan in the 51st minute. Dundalk soon doubled their lead thanks to a rare Chris Shields cross-turned-shot that caught out a confidence-shot Kevin Horgan once again. Rovers did hit back through Daniel Carr in the 76th minute, but it was to no avail as Dundalk held on for a massive three points at Oriel Park as they went two points clear of bitter rivals Cork City at the top of the pile. There was drama, goals, and a whole lot of controversies as Waterford FC landed their first big statement of intent over their title rivals. There was a grand total of six red cards following the conclusion of the game at the South-East venue, which ended 2-1 to the hosts. After taking an early lead through Conor McCarthy, it seemed as if City were about to do a thoroughly professional job at the home of the form team in the Premier Division this season alongside Dundalk, but Alan Reynolds’ side hit back soon after the second half restart through a Conor McCormack own-goal. Waterford then grabbed the winner of the game through on-loan star Courtney Duffus, as he popped up with an 80th minute winner for the “Blues” as the game ended in somewhat controversial fashion with John Caulfield, Steven Beattie and Garry Buckley all seeing red for the “Rebel Army” alongside Bastien Hery, Stanley Aborah and Alan Reynolds, who were all heavily involved in an end of game fracas near the two opposing managers dugouts. It was another bleak, miserable night at the office for Dave Mackey (now resigned manager of Bray Wanderers) and his playing squad as the "Seagulls" crumbled to a dismal five goals to nil defeat at Richmond Park. Jake Keegan put the “Saints” in the lead on the 18th minute before Kevin Toner doubled their advantage twenty minutes with a headed finish. Conan Byrne scored Pats’ third just before the break from the penanlty spot, as Dean Clarke was pulled down in the box by Conor Kenna as Liam Buckley's side went three up at the break. It was to get even worse for a dismal Bray Wanderers on the night as they shipped a further two goals. Dean Clarke and Jake Keegan were on hand to seal the deal for Liam Buckley’s side, who mentally switched off in the last half hour of the game following their fifth of the night. Bohemians and Limerick played out a nil-nil stalemate at Dalymount Park as both sides probably came into the game not wanting to lose rather than wanting to win this scoreless draw at the home of Irish football. For all their dominance of the game, Bohemians couldn’t break their way through a staunch Limerick FC defence as Tommy Barrett’s side repelled all that came their way with relative ease in a largely dull encounter between an injury-ravaged "Bohs" and an inconsistent Limerick. 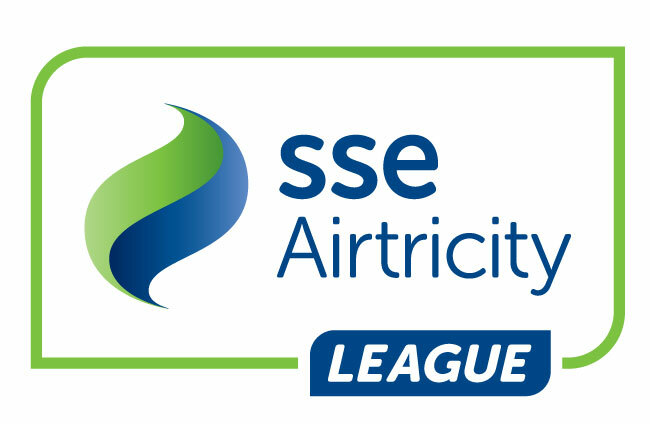 A draw was probably the fair result on the night as "Bohs" ready themselves for next week’s Dublin Derby clash at Tallaght Stadium, while Limerick must gear up for a vital home clash against Gerard Lyttle’s Sligo Rovers at the Markets Field. Gerard Lyttle’s Sligo Rovers fell to another disappointing home defeat as Derry City headed home to Foyleside with a big two-goal victory over their rivals from the North-West with goals from Ronan Hale and Rory Patterson sealing the deal for Kenny Shiels’ side. The “Candystripes” took the lead early on in this clash of the North-West as Rory Patterson saw his deflected free-kick effort find its way home to Michael Schlingermann’s net as Kenny Shiels’ side took control of this one early in the 17th minute. In the second half, Ronan Hale put the result beyond all doubt as he fired past a despairing Schlingermann to send Derry City up to 5th place in the league table as they head into a home clash against Waterford FC up at the Brandywell next Friday night.